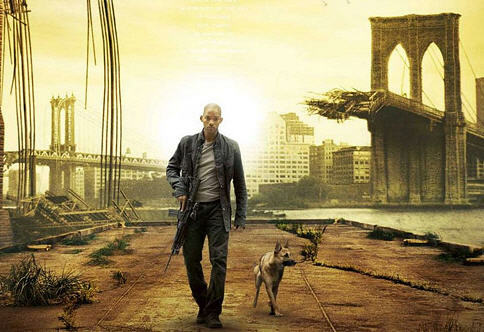 In the recent movie I Am Legend, starring Will Smith, a genetically re-engineered measles virus - KV - is developed as a cure for cancer. Trials in humans are begun, and as the cure appears to be successful, countless people are "inoculated" with the virus. When the virus mutates, it rapidly infects virtually all human beings and some animal species. Will Smith is the last healthy human being left in Manhattan. But that's just a movie. When Dr. Patrick Lee saw this movie on a recent air flight, he started rethinking his own approach to cancer cures. Dr. Lee's work involves using a naturally-occurring virus known as "reovirus" to treat cancer... Dr. Lee tested the virus on mice in 1998 with some very promising results. In addition to causing brain tumor cancer cells in mice to shrink, reovirus appeared to seek out other tumors and eliminate them. Meanwhile, right now in the United States and the U.K., independent of Dr. Lee's research, there are already clinical trials underway to test reovirus on humans.